May not be the best title but not sure how to describe. On screen in VW my plan (sheet layer) appears as shown below in the first image. Once published to PDF it appears as shown in the second image. Have tried comparing all the viewport, export, publish, print settings with a working file, but for the life of me can't find the fix. Something to look at is the sheet layer resolution. Pick or right click the sheet layer in navigation or organization palette then edit. I think default is 72 dpi which can make jaggy curves. Hi guys, thanks for the tips, have checked that and all set to 72dpi (default), have even increased and has no effect. Have also checked DPI setting in the publisher setting as well. I was also pretty sure it would be a too low DPI setting. I always thought that DPI settings are only related to pixel and image data. And that vector formats are resolution independent. But someone explained that the DPI in PDF also influence quality of vector data. point may miss in PDF. converted to Polygons. Also the line weight looks totally off in scale. does VW Pref > Edit > 2D conversion resolution, to very high, "better" the appearance ? Just checked and that setting is already set to "very high". I have exported all sheets and they all have the same issue. Although it was unlikely I copied and pasted some objects to a blank file to try and replicate, but exported fine. So if it works in a clean file, I think VW support has to look over your file ? I remember seeing images like this posted on the forum in the past. I don't think its related to DPI resolution. Something is affecting the conversion resolution (number of facets) of curves during PDF output. 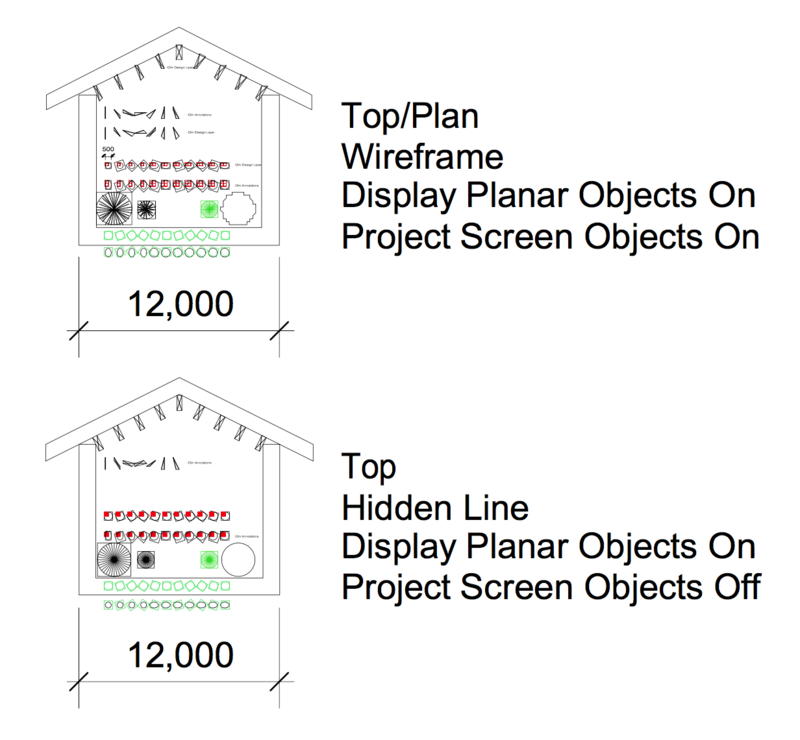 Are these Top/Plan sheet layer viewports in wireframe (eg. no rendering)? I would try opening the autosave backup of your file and see if its exhibiting the same issue. When it opens it will need to regenerate any 3d geometry in the file so it takes a bit. I would submit it to tech support. There's likely a corrupt object somewhere in there. If you want to try troubleshooting it yourself, work on a copy of your file. I've had some success tracking things down by deleting half the layers and testing again. You can slowly isolate down to the problem. Have tried the backups and get the same result unfortunately. Have just submitted to tech support. We get this if we publish an A1 scaled down to A3 (via printer settings, 50% method). Also when we publish 1:500 on A3 this occurs post-publish. We notice it when we zoom in. 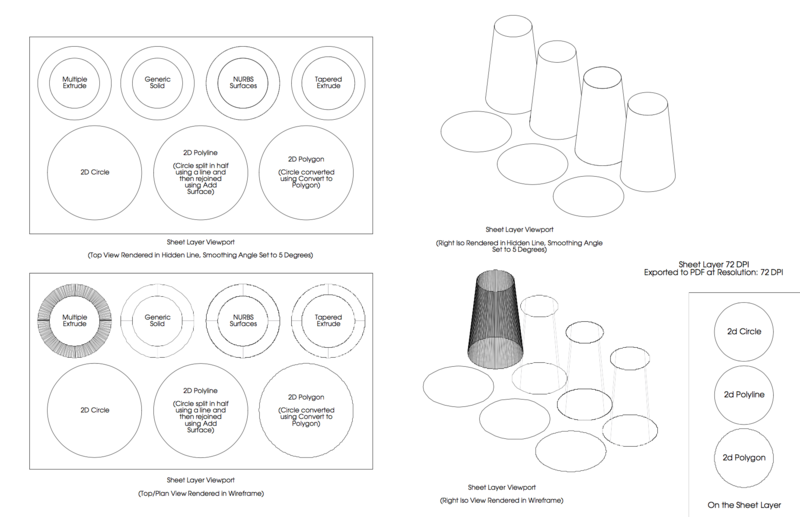 Is the WC and other objects imported from a DWG? Sometimes I notice that imported DWG arcs or circles are made up of polylines with lots of vertices or just lots of lines. This makes them appear "jagged" as they are not true arcs. Often I will replace them with VW arcs or circles so they print properly. What is that triple circle right from the WC in the example ? If I look closely at the SL View, that and the WC are already polygon-ized. Looks like in double resolution though. The Publish dpi settings are too low. (They should be around 300dpi). With the Publish dpi setting this low, even if these were curves or arcs they'd still be affected, they'd just be skewed instead of jagged. These results are a function of the PDF format, where all geometric points must align with an invisible 'grid.' The density/accuracy (dpi) of this grid determines the number of possible locations each geometric point can sit on. NOTE that all circles and arcs get translated to one or more bezier/cubic curves, which makes for skewed arcs/circles when the dpi is low. These settings apply to Export PDF settings as well. Hover your cursor over the 'Resolution: ____ DPI' setting and read the description blurb at the bottom of the dialogue window. 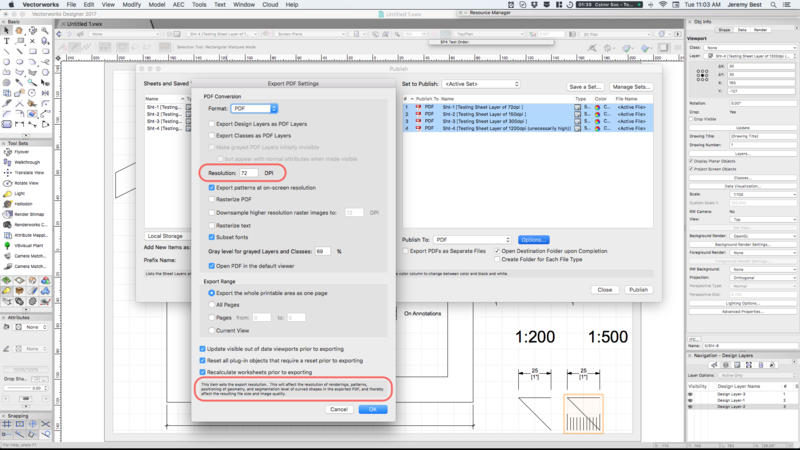 Note that when Publishing to PDF you can set the DPI for each Sheet individually. Thanks for the clarification. I always assumed this setting was the same as the DPI setting set for each sheet layer. I would not of associated DPI with the quality of vector geometry and I find that naming convention confusing even if its technically accurate. I don't think I've ever changed the default value in the Publish or Export PDF dialog so perhaps that's why I've never been affected by it. Is there a relationship between the sheet layer DPI setting and this setting? Is there a relationship between the sheet layer DPI setting and this setting? @Kevin McAllisterWhen it comes to vector graphics / geometry the Sheet Layer DPI is irrelevant. That DPI only affects renderings or images. However, the Publish/Export 'Resolution' DPI setting will have the final say on both. NOTE: I haven't tested to determine whether having the Publish/Export DPI setting higher than the Sheet Layer DPI would cause it to regenerate Viewport renderings to match the higher figure, but I doubt it would. 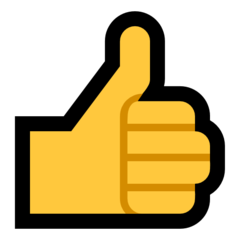 EDIT: In fact because users might want low DPI images/renderings (perhaps to keep the PDF file size low) but retain high-accuracy vectors, I'm quite sure having a Publish/Export DPI setting higher than the Sheet Layer would not cause it to reprocess Viewports to match. @Kevin McAllisterWhen it comes to vector graphics / geometry the Sheet Layer DPI is irrelevant. That DPI only affects renderings or images. That's what I've always assumed and why I find the use of DPI so confusing in the other context. DPI is for raster images only. However, the Publish/Export 'Resolution' DPI setting will have the final say on both. In other instances in VW this is referred to as "Conversion Resolution". If it was labeled that way here I would understand what it refers to. I'll have to do some testing to see what this all means. My PDFs had gotten so large that I switched to outputting image files instead, converting and combining them into PDFs in Adobe Acrobat. Thanks again for the clarification. I'm going to wishlist a terminology change in the Publish/Export dialog. Is it possible to post an example file that shows how this setting works (perhaps a VW file plus a PDF with pages at different settings)? @Kevin McAllister Perhaps your page size is large, in which case you might just need to zoom in further to see the effect. I've verified this results show up using Adobe Reader DC as well. - This setting specifically seems to affect line segments, meaning it also affects anything Vectorworks converts to Polygons because Polygons are made up of line segments. The "grid" you talk about is clearly used to place the end points of lines. - It also affects any Sheet Layer Viewport rendered in Wireframe. VW is clearly converting objects in those viewports into Polygons. - It also reinforces my longstanding rule to avoid using polygons. You can see that it even affects the polygon directly on the Sheet Layer. Since most of my work is in 3d and presented in 3d with a render style other than Wireframe its not surprising I've never had to deal with this issue in my workflow. I haven't tested it, but I suspect that annotations are treated as if they are on the Sheet Layer so they probably aren't affected except for native polygons or annotation tools that use polygons. I'd say the takeaway from this is to wishlist improvements to the Wireframe rendering mode. 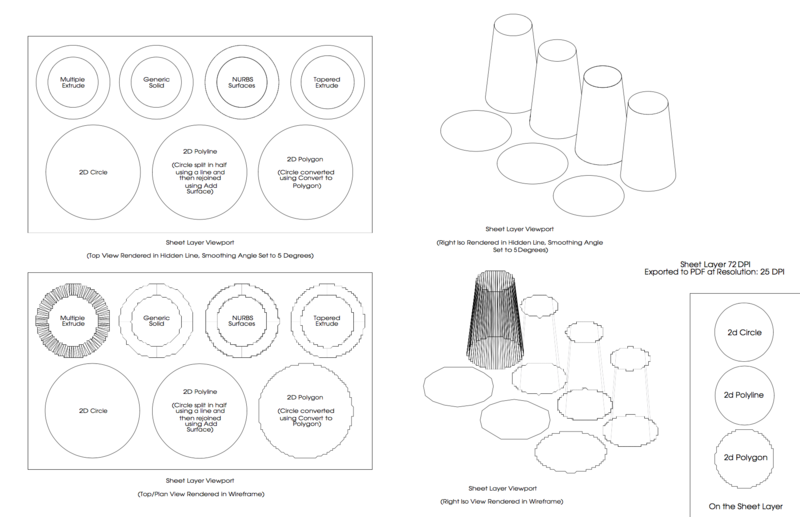 I know lots of architects use Top/Plan for presenting drawings. If their models contain polygons it will show up here. I think the takeaway from this is simply to keep your DPI as high as you need it to be to achieve the level of detail needed. I'm not sure changing the way Vectorworks communicates/formats graphics will make any difference because the constraint here is the 'invisible grid' that the PDF format enforces. Because even vector curves get affected (skewed) when the DPI is too low, the solution is to just keep DPI high enough. 300 DPI or higher when needed. Unfortunately I don't believe this is true. If it were all of the other viewports in my example PDF would exhibit the same symptoms and they don't. Here's a version of my file exported at the lowest possible setting, 25dpi. The hidden line viewports hold the integrity of their curves up to Acrobat's maximum zoom setting of 6400 percent. Look at my PDF again. The circles in the smallest scale Viewports (1:1200) demonstrate perfect vector circles being skewed in PDF @72DPI that improve when the DPI is raised. The video I posted communicates it best. I've attached an example which shows how consistent it is. Its a PDF of your smallest viewport with a second copy rendered in Hidden Line. The shapes in green are polyline versions of your geometry I added. Note that while their relationship to each other is retained, their relationship to other geometry on the page is shifted. There's definitely a mix of WAD and perhaps some bugs at play in all of this.